Patients were asked how they affected the noises of the environment, and these mentioned both positive and negative experiences. Among the positive they cited, for example, the sound of the personal talking in low voice with them or giving information on the treatment administered. And between the negative experiences, those noises out of control of the alarms. Patients also stated as more annoying noises those which were unknown, and not the high level of general noise. This indicates the need of taking measures to offer best conditions for the night rest and the recovery of the patients in the health care centers. We could have begun our post with the classic answer to the question: what’s the noise?. You can find different definitions, including the classic of the dictionary. In all there is a common element that refers to the subjectivity of the receiver facing the sound that receives, because that subjectivity is which converts the sound in noise. Noise is not only a question of sound pressure levels: any sound that is pleasing to a receiver (E.g. : our favorite song), can be very annoying for another. All depends on the context and the type of activity of each of them, and the sources that generate it. 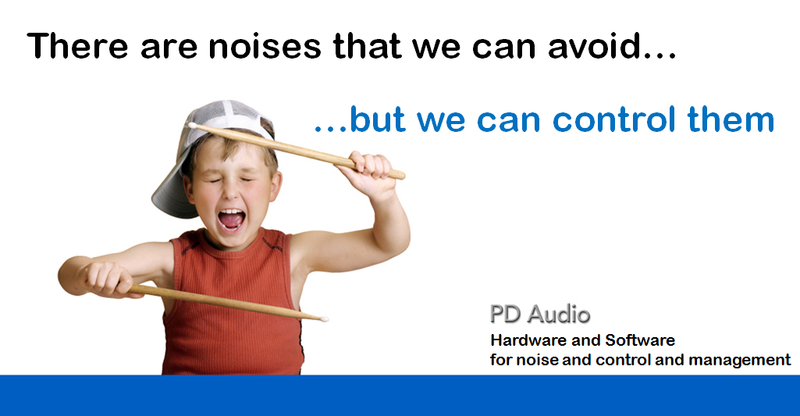 Since 1994, PdAudio has been trying to generate tools to manage noise and its influence on the environment. We try to make understand what noise is, and what it generates, is the reason that motivated us to the creation of tools that help to the awareness on this topic. All people understand what 25 degrees of temperatura mean (regard to their sensations of cold or heat); even so there is a component of perception that we interpret as termal feeling, perhaps we can do the same with noise. Thus, we set out to find a way to evaluate the sound environment which exacted to perception and the actual awareness of noise. And SAS 2000 was born, a device capable of show in all time the perception direct of the comfort acoustic, making an instrument of awareness and resulting of an invaluable help in the realization of plans of improvement. The main goal is not just a matter of controlling the levels of sound pressure, it´s to examine the set of sounds that define the environment. It helps to design the soundscape of the ICU. How SAS 2000 works? Continuously, it collects not only the sound pressure levels given an environment: thanks to its calculation algorithm, the device evaluates the different parameters of comfort or discomfort that help to categorize the environment where it is installed, describing it as: comfortable, annoyed or very annoyed, depending on the characteristics of the produced sounds and the temporal evolution. We would like to contribute to the H of humanization in the ICU by doing our part, because we participate in that same feeling and that we are able to support the project by sharing our tools. To ensure acoustic confort is approaching to that perception that provides comfort; and this comfort is healthy for people.Obviously our objective is to help the most vulnerable persons by creating an environment more comfortable for the patient and the health care team. more enjoyable and comfortable enviroment is also humanize.